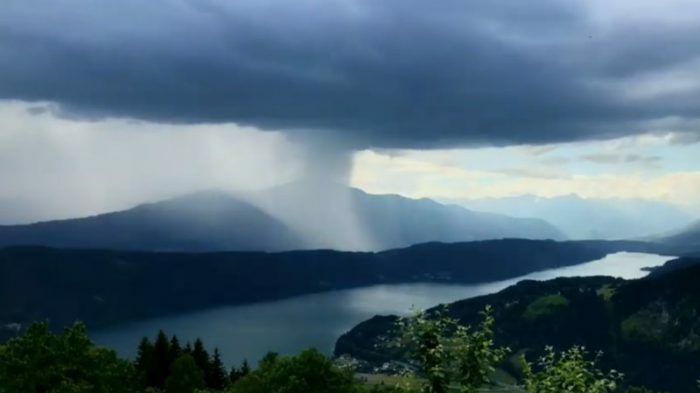 Photographer and videographer Peter Maier captured a powerful rainstorm over the Millstatter See in Carinthia, Austria, and assembled a fascinating time-clip. Impressive! 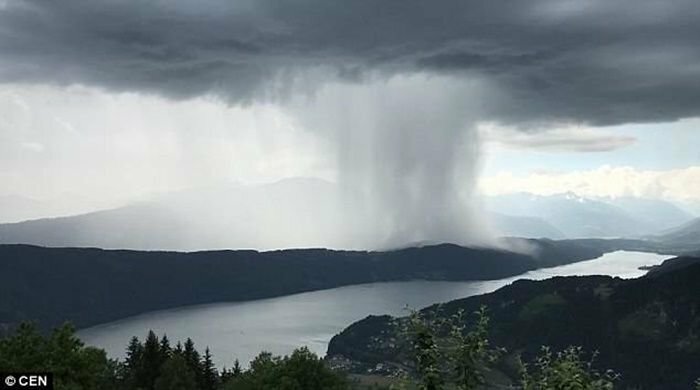 A powerful rainstorm passed over Millstatter See, Carinthia, Austria. The photographer and videographer Peter Maier captured the phenomenon on the camera and created a time-lapse movie, which he called “Tsunami from Heaven”. It seems that someone poured a bucket of water directly from the sky! In fact, this dangerous weather phenomenon has a name – microburst. This is a strong short-term downward movement of air associated with thunderstorm activity. The wind in the microburst is so strong that it easily puts large trees on the ground. Especially dangerous microbursts for aircraft – it’s the cause of several air accidents. The video was rated by more than 1.5 million users.